Gartner, Inc. (NYSE: IT and ITB) today reported that Java, along with Microsoft technologies, will represent 75 percent of new e-business application development initiatives. 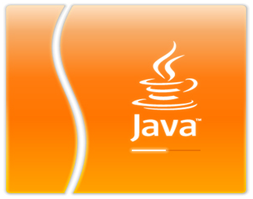 According to the Gartner survey of more than 400 IT professionals, 80 percent report that their organizations use Java technology today. "Specialized careers like those of IT professionals usually fare well even during tough economic times," said Robin Flatau-Reynoso, Gartner analyst. "Java is a great skill to have in the IT professional portfolio over the next five to 10 years." This board has a simple interface: you type in the job keywords and a zip code, then start your search. The nice aspect of this site is that you will tend to find jobs that don't show up everywhere else. Dice.com allows you to create a resume that you can turn on and off as your job search needs change. Are you getting tired of your current position and want to see who might be interested in your skillset? Turn your resume "on" for public viewing and watch the emails come flying in. Have you found that great job and want the recruiter emails to halt? Turn your resume "off". It's a useful feature and you can keep your resume on Dice.com for free. JustJavaJobs.com allows SCJP Certified professionals to post a resume and to search for jobs that have been posted within a specified time period. This is especially useful if you are seeing the same jobs advertised over and over again. By searching just for jobs posted in the past few days you'll be more likely to find fresh listings.